We find and fix the true cause of your problem so you can experience lasting results. Doctor Mom's & Doctor Dad's rely on us as their trusted health advisor. You've only got one spine. 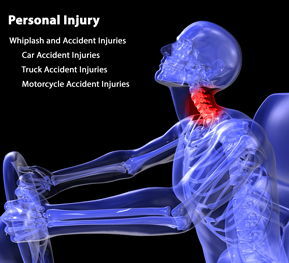 Take great care of it with extraordinary chiropractic care and complete rehab. We treat many health conditions from A to Z in addition to the Spine. Your journey to wellness and wellbeing starts now. Highly Rated Chiropractors. Company Wide We Have: 320 Google 5 Star Ratings. 215 Facebook 5 Star Ratings. 97% of Our Patients Say They Would Refer Their Family & Friends. Click on an image to see our special offer. We now have 6 Huntsville area clinics to serve you. We have 4 regular chiropractic clinics and 2 specialty clinics, the Neuropathy Laser Treatment Center and Alabama Laser Spine. As a Chiropractor, we consider the non-surgical treatment of Disc problems, Stenosis, Degenerative disc disease, Degenerative facet problems, and Arthritis of the spine our "Area of Excellence." Our Clinics are proud to be on the medical forefront by offering "State of the Art" FDA approved technologies like laser, decompression traction, and disc pump. We utilize the proven LDCR Protocol, developed by Dr Millar while practicing for years with the Neurosurgeons from UAB Dept of Neurosurgery, which stands for Laser, Decompression, Correction and Rehabilitation. At Millar Chiropractic Clinics, our Chiropractors have successfully treated over ±4000 patients with ±75-80% success rate. We also use the Millar Facet/Stenosis Table also developed by Dr Millar for the treatment of Stenosis and Degenerative Facet problems for patients with those conditions. 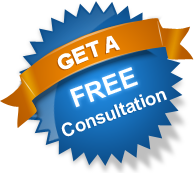 We are offering a Free* Consultation with the Doctor to discuss your problem(s) and our possible solutions. 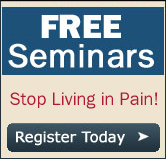 Book Your Free* Consultation Now! Home of the $10 thirty minute Swedish patient massage. "Millar's Got Your Back & More"
Dr Greg Millar, Chiropractor. 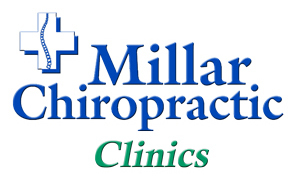 founded Millar Chiropractic Clinics in 1998 in Decatur Alabama. He says, "everyone needs a Chiropractor and a Medical Doctor. You need a Medical Doctor for in sickness and a Chiropractic Doctor for in health. A Chiropractor is an essential part of well- being healthcare. Discover Excellence in Chiropractic at Millar Chiropractic Clinics. It's Your Life... Live longer , Younger! 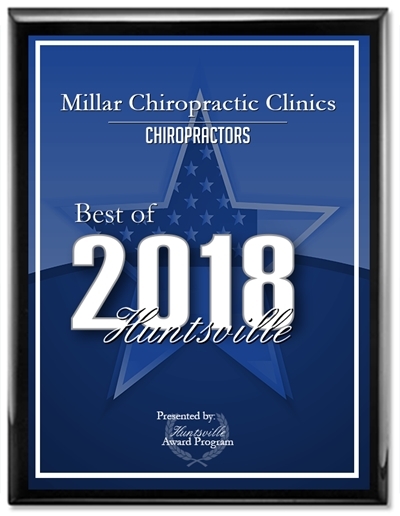 Dr. Greg Millar, DC CCEP, is a Huntsville Alabama Chiropractor and Founder & CEO of Millar Chiropractic Clinics, Alabama Laser Spine and Neuropathy Laser Center Huntsville. In addition to being a Chiropractic Physician, he holds the CCEP designation and is Certified in the treatment of extremities (hips, knees, ankles, feet - shoulders, elbows, wrist, hands). He has substantial post graduate training in Neurology and Orthopedics. He practiced for years with the neurosurgeons from UAB Dept of Neurosurgery. He has authored four books and was the host of the TV Show Medline for 12 years and Backtalk for 6 years. He can be reached at (256) 539-7077. Dr. Jessica Davis DC, Chiropractor Huntsville AL She is a graduate of Palmer College of Chiropractic with a Doctor of Chiropractic Degree and a Bachelor of Science Degree. She brings to our practice all the new techniques and training of Palmer Chiropractic College. 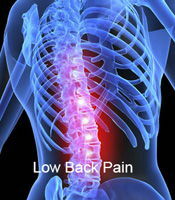 She is the Senior Millar Chiropractor at Millar Chiropractic - Huntsville AL (Jones Valley). Her patients rave about her adjustments and she is a hit with the moms and children. She is highly reviewed with over 90 Google 5 Star Reviews. She and the other Millar Huntsville Chiropractors were awarded the Best of Huntsville, Chiropractor award for the past 3 years. She can be reached at (256) 713-1830. Dr. Jack Langston, DC has been a licensed Alabama chiropractor for over 30 years. Dr Jack as he likes to be called, brings that world of experience to every patient. Dr Millar calls Dr Jack's adjustments 'silky smooth. 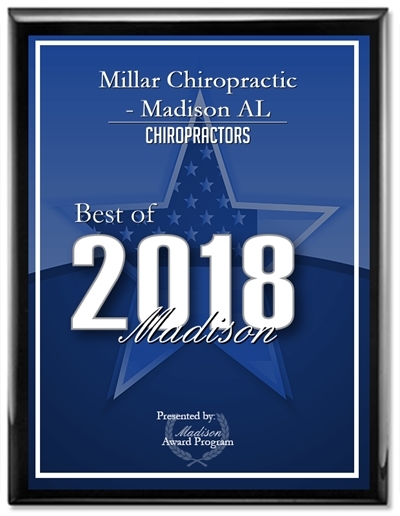 Dr Jack has been with Millar Chiropractic Clinics for 12 years first in Madison and now in Huntsville. 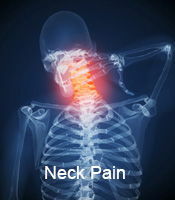 Dr Jack is the Senior Millar Chiropractor at Millar Chiropractic - Huntsville AL (Clinton Ave). He can be reached at (256) 539-2000. ★★★★★ 4 months ago A Review from one of our Huntsville Doctors. Dr. Jess is the best!! Can't say enough good things about the fabulous ladies who work there. Highly recommend Millar Chiropractic Jones Valley!! ★★★★★ 3 months ago I am extremely pleased with the care/treatment that I've received from Dr. Jessica Koelker-Davis at Millar Chiropractic in Jones Valley. She is very thorough and she listens to what is hurting you, then she comes up with a treatment plan to address your pain. Being a fibromyalgia patient, I am extremely sensitive to even the lightest of touches on my tender points during a flare up. Dr. Koelker-Davis is always very gentle with me and takes extra precaution not to press too hard on my tender points when she is adjusting me. She does not use harsh adjustment procedures on me either but rather uses a tool to do gentle adjustments. If you're a Fibromyalgia patient with back pain or any other type of chronic pain for that matter, I cant highly recommend her enough! I'm FINALLY getting some relief from my pain! ★★★★★ 3 months ago Dr. Walbom and the staff are very professional and Knowledgeable at their craft. The experience that I have has been wonderful. The staff greets you when you enter and leave the office. I would recommend this location to anyone looking for a Chiropractor. ★★★★★ 6 months ago I had a wonderful experience at Millar. 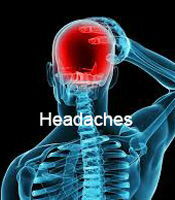 They are very caring and get you out of pain! 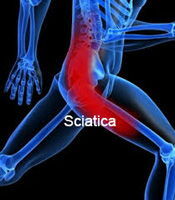 I had sciatic pain after pregnancy and Dr. Justin helped significantly!